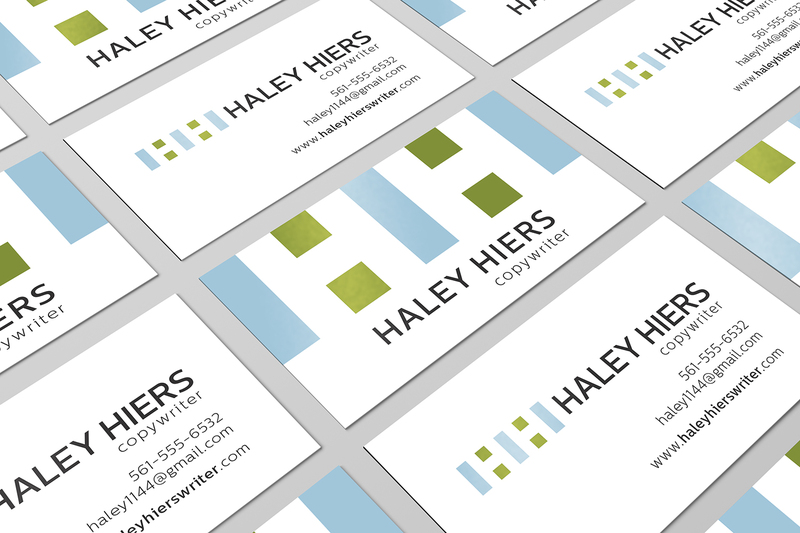 Here is the logo and business card that I designed for Haley Hiers, a copywriter and a friend. She specifically requested a simple logo design, so I went all in. This was actually my favorite, but I thought it might have been too simple. There was no reason to worry, because she loved it … thank goodness. We had a trade—a logo design and some tweaks to her website for a review and update of the copy on mine. She is quite talented and a great resource to have at hand. Let me know if you need some concise, well-written copy and I will introduce you.